Echinacea vitamins can be taken in many forms and are used around the world by many cultures. They have been used for many generations, most commonly to assist with the common cold. Herbs and flowers have long been used for medicinal purposes, dating back to ancient times. Echinacea supplements comes in three common forms, a vitamin capsule, a liquid made from the root, or a tea made from the flower. Each three forms are meant to accommodate a person’s preferential method of taking the echinacea supplement. Echinacea is actually a flower that grows in North America, but has been used for hundreds of years both locally and internationally for its medicinal benefits. It is thought to be useful for the immune system, stimulating it so that it fights off infection. Thus the use of the echinacea vitamins has increased through the years, especially during the upcoming Winter season. Having a strong and active immune system is a key to keeping healthy. An echinacea supplement should be used as soon as the feeling of a cold is coming on, it will help boost your immune system and beat that cold. As with any supplement, vitamin, or medication, always consult your doctor before use. While echinacea has few known side effects, it is of the utmost importance to ensure that you don’t harm yourself. The few side effects of echinacea vitamins that are known are gastro-intestinal side effects and skin ailments, such as itching or a rash. While minor in most people, someone with a pre-existing condition in one of these areas could experience more trouble. 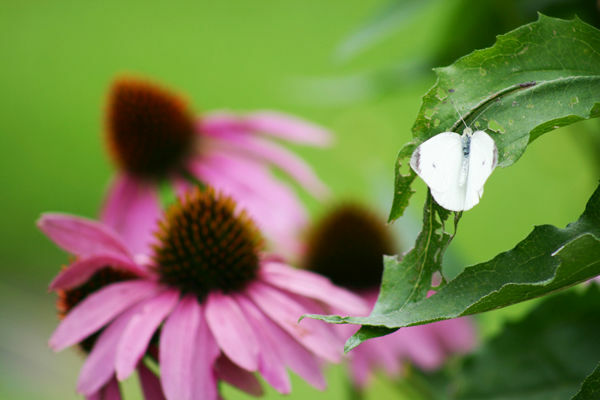 It is very rare that there is an allergic reaction to echinacea supplements, but in those rare cases, they have discovered swelling, asthma, and anaphylaxis. Outside of the common usage for colds and immune system boosting, there are some other benefits that some believe true. It is actually being used, on an experimental basis, via IV in some parts of Europe to treat cancer patients. Many AIDS patients also take echinacea supplements, as their immune systems are weakened. There is still very much to study about these advances uses of echinacea, and many studies are underway. Dosages vary depending on the usage and form in which the echinacea vitamin is taken. If you consult your doctor, nutritionist, or alternative health provider then you can be directed to a vitamin routine that would be most beneficial for your needs. On average, it is not recommended to take it longer than ten days at a time, but your health care provider may suggest otherwise, always follow their directions. An echinacea supplement would be a great addition to your medicine cabinet as Winter approaches, and year ’round, for when those ailments might hit that you need a boost. Not to mention, if you life in Mid-Western North America, its lovely purple blooms would also be a nice addition to your garden. Echinacea Vitamins is the leading site for your echinacea supplements and products. Check out Echinacea Vitamins now!. So visit: http://echinaceavitamins.com/ now! Hey Buddy!, I found this information for you: "The Many Benefits Of Echinacea". Here is the website link: https://www.thealternativedaily.com/the-many-benefits-of-echinacea/. Thank you.